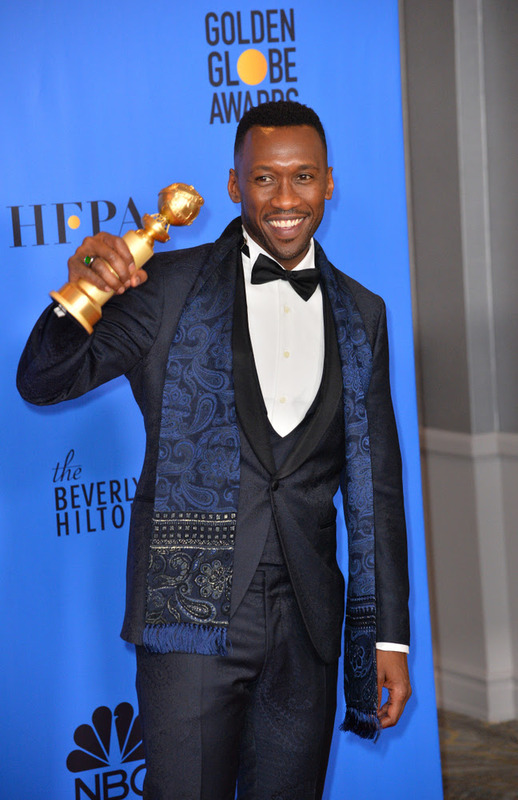 Oscar winner Mahershala Ali took home the Golden Globe for Best Supporting Actor for his role in the aptly titled American comedy-drama film Green Book, and in keeping with the green theme, the actor accepted his award wearing a Zambian emerald signet-style ring designed by jeweller Kimberly McDonald and featuring an emerald mined at Kagem. Zambian emeralds are now the must-have gemstones on red carpets everywhere, since fine emeralds have taken on renewed popularity thanks to their promotion by London-based Gemfields, which owns 75 percent of Kagem in a model partnership with the Zambian government, which owns 25 percent. A number of A-list actresses championed colour on the carpet, and earrings were the jewellery item of choice with statement, chandelier style options dominating. I love Mahershala as Remy in House of Cards. A very good actor all around. Meanwhile Lufwanyama is so rural & kids go to bed hungry. They evade taxes & bribe our corrupt politicians to smuggle out billions worth of emeralds. The Hollywood people shunning blood diamonds from Zaire and war torn countries of West Africa. Hope they won’t cause civil war over our peaceful precious Stones. Let’s stay awake! And why this London fimo fimo owning 75% of our emeralds? Our resources owned by ba mumbwe ba mwansakabinga. If we know how to look after our wealth. With all these resources we are dependent on others .shame. That is the irony, isn’t it? Rich continent and it’s inhabitants are poverty and disease stricken…. corruption at every corner…thousands drowning as they seek for better opportunities….. illiteracy and hence being taken advantage of…… Ni chani kansi? Nzelu zili ku? Can we be this ndwiii forever…..?